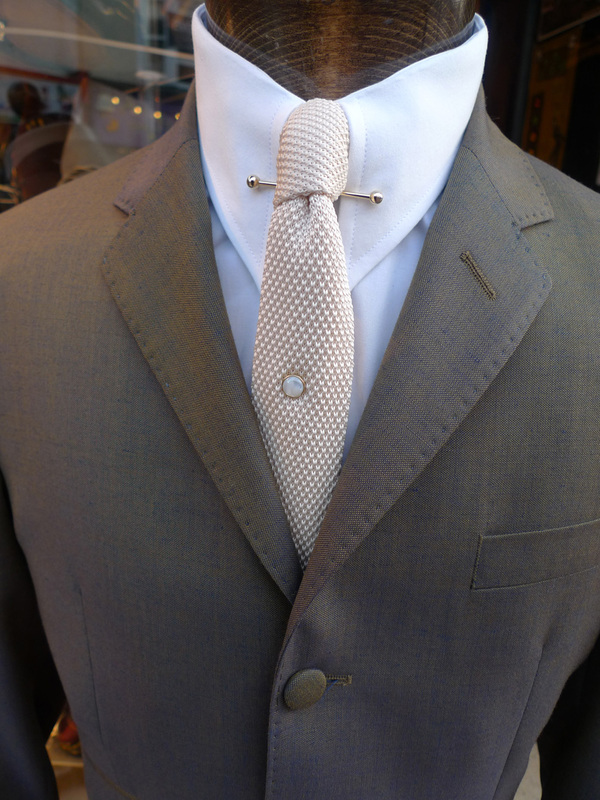 Two Tone 3ply shot Tonic suit in Gold and Blue. 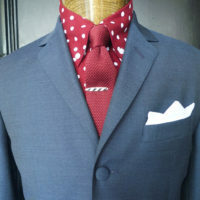 All the usual JTG features in this great colour. 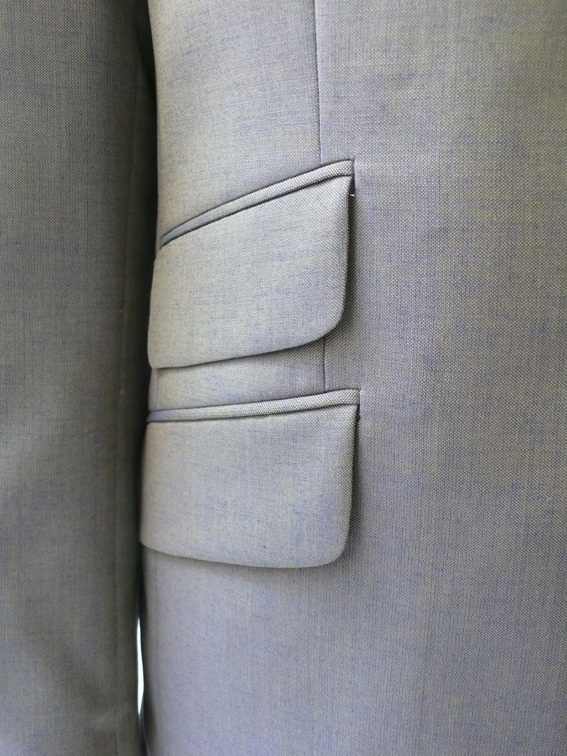 Covered buttons twin vent ticket pocket working cuffs and fitted. 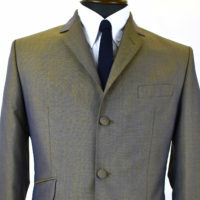 Our jackets are shorter than most other manufacturers and we have recently narrowed the lapel slightly. 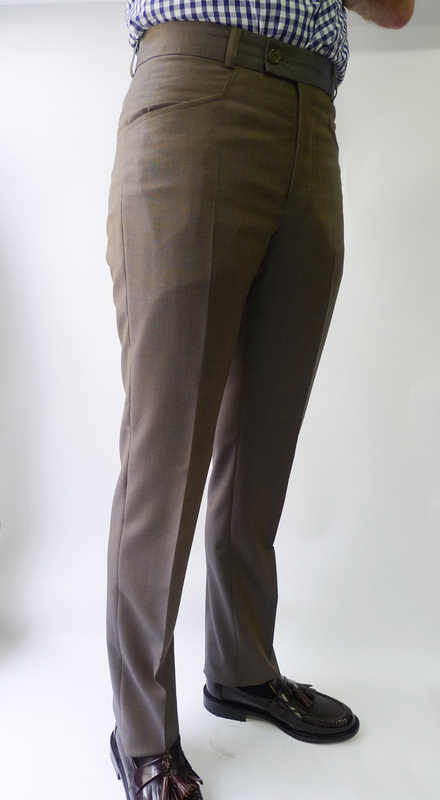 Trousers are flat front frog mouth pockets with one back pocket and very slim fitting down to a 15.5 inch bottom. 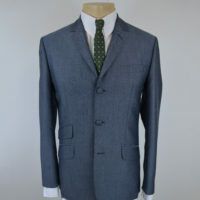 67% Suoerfine wool/33% kid mohair. 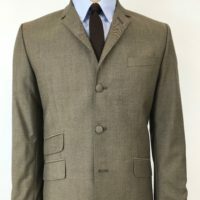 Just received this suit a few days ago for my wedding in May,absolute class.This is my third JTG suit and they cant be beaten in my opinion,for the 60s mod cut and quality in every detail. Thanks Paul. Hope to see you in the shop.